Mondrian was a modern Dutch artist famous for Neo-plasticism, the use of horizontal and vertical lines along with blocks of different shades and primary colors. After he immigrated to Paris during WWII, he moved back to his native Netherlands, returned to Paris, and then to Manhattan in the early 1940s. He passed away in Manhattan in 1944; his funeral was held on the same day of February as my birthday. 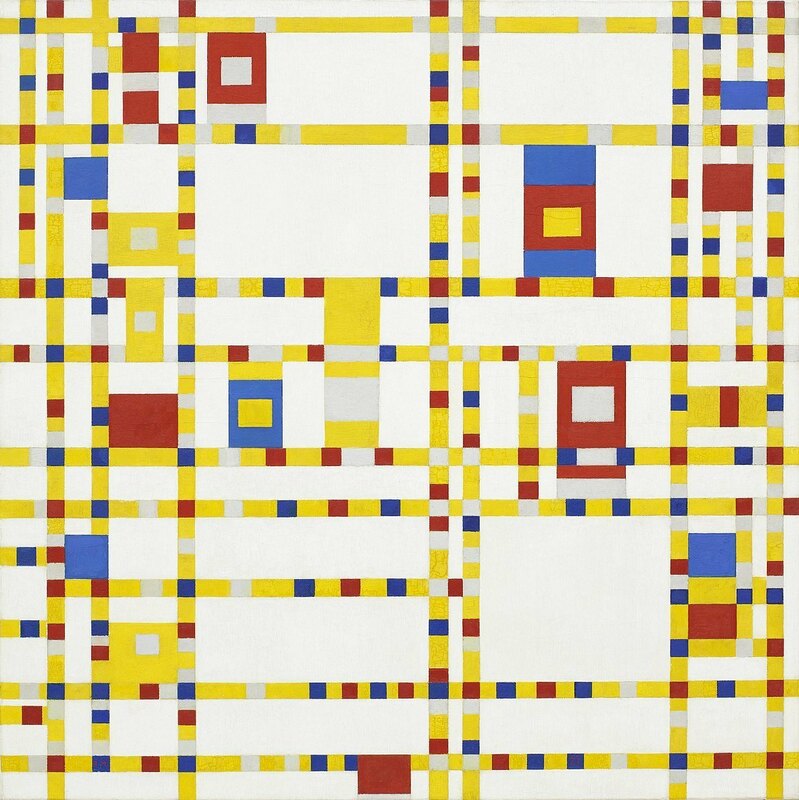 I feel a strong connection to Mondrian as much as his works was to the Manhattan grid. My freshman year of college, a professor presented “Broadway Boogie Woogie” as a design problem which influence the way l approach projects even to this day. I built a 3D cardboard model of the painting to define the spatial hierarchy between the lines. This experience influenced my views on minimalism and modernism in architecture. Studying a 2D form and transforming it into a 3D model is very close to how architects analyze a site and translate the findings into architectural language and provide a unique design solution. For example, many of my clients ask: How do you design an interior space to meet my needs? I base my answers on the existing boundaries already defined by the walls and columns along with the criteria given to me by the clients, and bring to life a balance of form and function. Taking the verbal or oral information from the clients then turn those into data and eventually into something tangible is similar to taking a 2D abstract painting and turns that into a 3D model. Eric Lam is the Principal of Redwood Design Studio Architect. Along with overseeing the firm’s day-to-day operations, he stays informed of every project while maintaining a hands-on approach to management. Eric’s professional expertise encompasses mostly hospitality design in which he has extensive experience leading projects from inception to completion. He has twenty years of experience designing numerous restaurants and hotel spaces as well as projects in other marketplaces. While he may be busy with client meetings or at job sites observing construction progress, he often spends leisure time in the great outdoors.